The 7th century iconic Budha of Swat has been restored to its almost original form in the troubled northwestern Pakistan. The restoration work was carried out with Italian assistance nearly 12 years after it was dynamited by the banned Tehreek-e-Taliban Pakistan during their control over the area. Buddha seated in a meditative posture, which is considered one of the largest rock sculptures in South Asia, was attacked in September 2007 by the Taliban militants, who blew up half the statue's face by drilling holes into the face and shoulders and inserting explosives, triggering a worldwide anger. 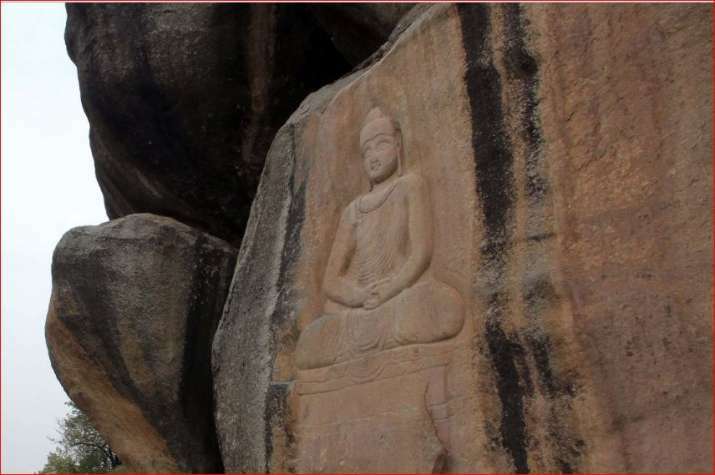 The Italian government invested 2.5 million euros (USD 2.9 million) in five years to preserve the cultural heritage and restore the six-metre tall Buddha of Swat, depicted in a lotus position at the base of a granite cliff. Luca Maria Olivieri, an Italian archaeologist who oversaw the restoration of the Buddha of Swat, said the rehabilitation of the site has not been easy. The Italian Archaeologist said the reconstruction is not identical, but that is deliberate, as "the idea of damage should remain visible". The restoration started in 2012 in phases with the application of a coating to protect the damaged part of the sculpture. The reconstruction of the face itself was first prepared virtually in the laboratory, in 3D, using laser surveys and old photos. The last phase, the actual restoration of Buddha of Swat, ended in 2016. Now the authorities are counting on Buddha's recovered smile and iconic status to boost religious tourism from places such as China and Thailand. The Italian government has been helping to preserve hundreds of archaeological sites in the northwestern Pakistan, working with local authorities who hoped to turn it into a place of interest for history-loving people and make it a local and foreign tourism attraction place. In 2009, the Pakistani Army launched an operation 'Rah-e-Rast' to flush out militants from the tribal region. Mullah Fazlullah, the dreaded chief of Tehreek-e-Taliban Pakistan, was killed in a US drone attack in Afghanistan's restive Kunar province last month.